Let’s get you into your first home! 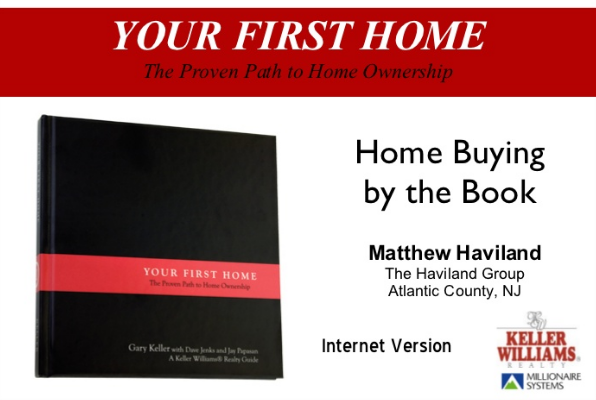 My name is Matthew Haviland and I have a great FREE first time home buyer video class and PDF guide for you. I have put together the best tips and practices for first time home buyers. It has all the info you will need to start the process toward buying your first home. I know buying a home can be scary and it’s hard to know how to get started. I’ve been there and will share with you my story of how I purchased my first home. In this class I review the common myths many people think regarding home ownership and I give you the truth about home ownership. I break down the 8 steps to home ownership including financing options, such as low down payment, no down payment and how to receive grant money to cover your down payment and closing costs. I also take some time to teach you how to buy a foreclosure property. And I explain the differences between a short sale and bank owned property. When you click on the link below you will have instant access to the class and PDF Download. Use the contact form below and I will send you the link to my free guide and video class! Click to watch this short class with all the info you need for your first steps to buy a house.